After surprising Real Madrid, eliminating from the Champions League, the talented young men of Ajax have given a football lesson to Juventus, today evening at Amsterdam’s “Johan Cruiff Arena”. They dominated the meeting for most of the 90-minute, though in the end no more than 1-1 draw, as fate seems to have chosen to support the white colors tonight. 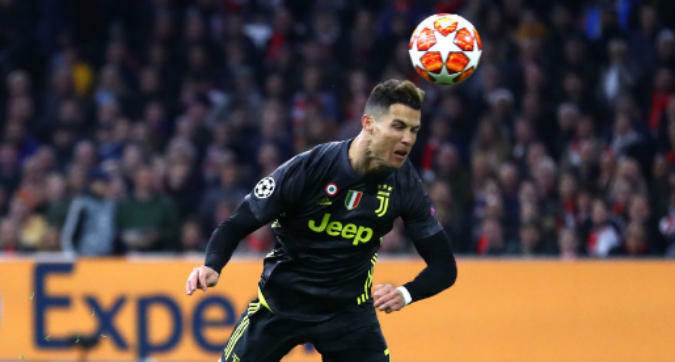 Cristiano Ronaldo scored the goal for Juventus at the end of the first half, but Neres returned the balance as soon as the second 45 minutes started, following an action that “tore” all the white defense and defeated Sczesny goalkeeper. In the next evening’s challenge, Barcelona had enough of Luke Shaw’s own goal at the 12th minute of the match to win Manchester United’s win at Old Trafford. After the breakthrough, Barcelona scored with a dense ballot, dramatically lowering the pace, making the case clearer to be too few in Manchester’s challenge. So after this Champions’ evening, it seems that both matches will have to be expected to finish the return matches, to learn the semifinals, as everything has remained open.